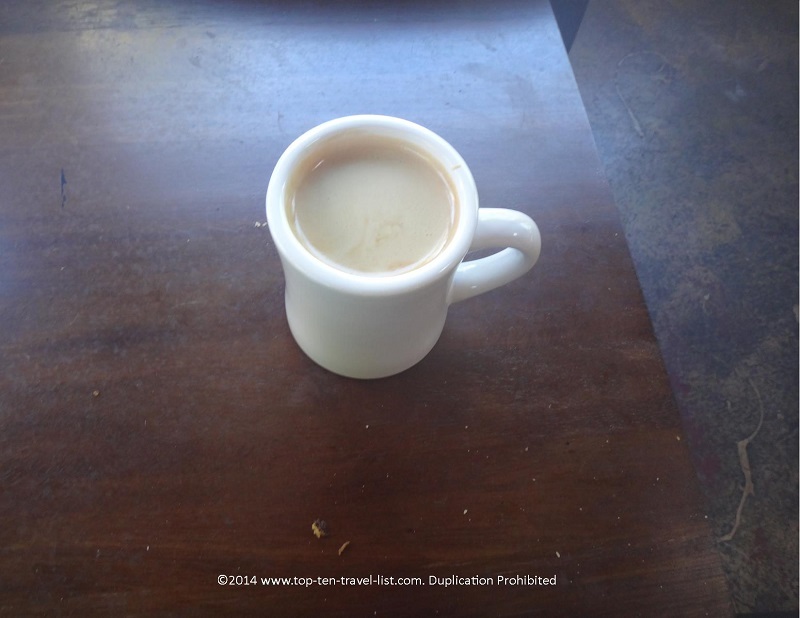 5 Must-Try Coffee Shops in the Tampa Bay Area - Top Ten Travel Blog | Our experiences traveling throughout the US. 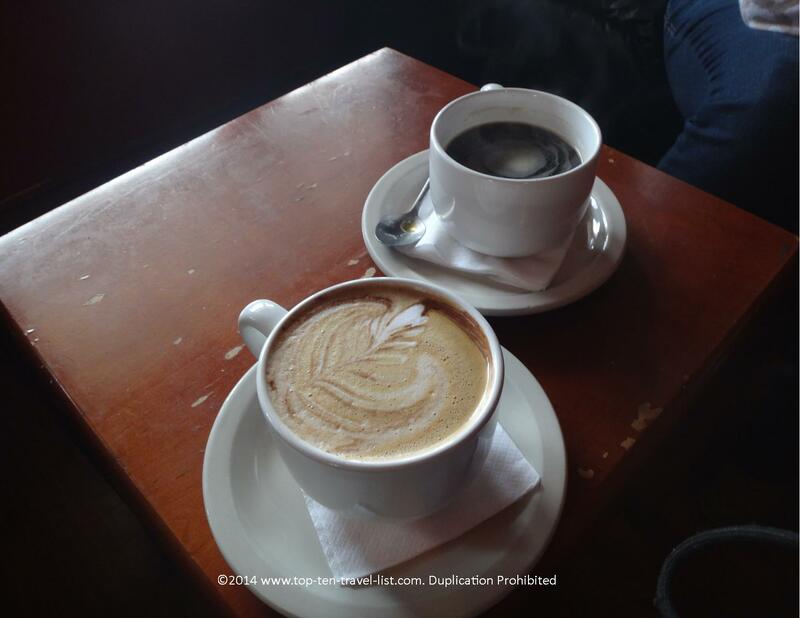 Coffee – it gets up going in the morning, boosts our productivity, and it just tastes so good! Doesn’t matter how you drink it – black, iced, pour over or cappuccino style… it’s America’s favorite drink regardless. So, really it is no surprise that independent coffee shops specializing in all sorts of custom drinks have been popping up just about everywhere nowadays. While you could simply brew up a pot at home, it’s fun to get out once in a while and enjoy an expertly brewed drink in a new setting. 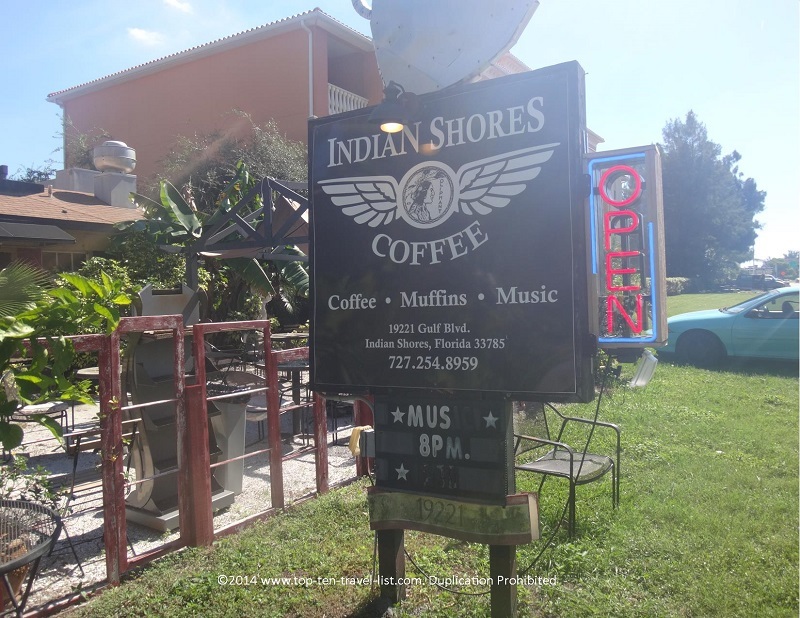 A breezy outdoor patio, creative drinks, friendly staff, and a prime beachfront location – what’s not to love about Indian Shores Coffee Company? 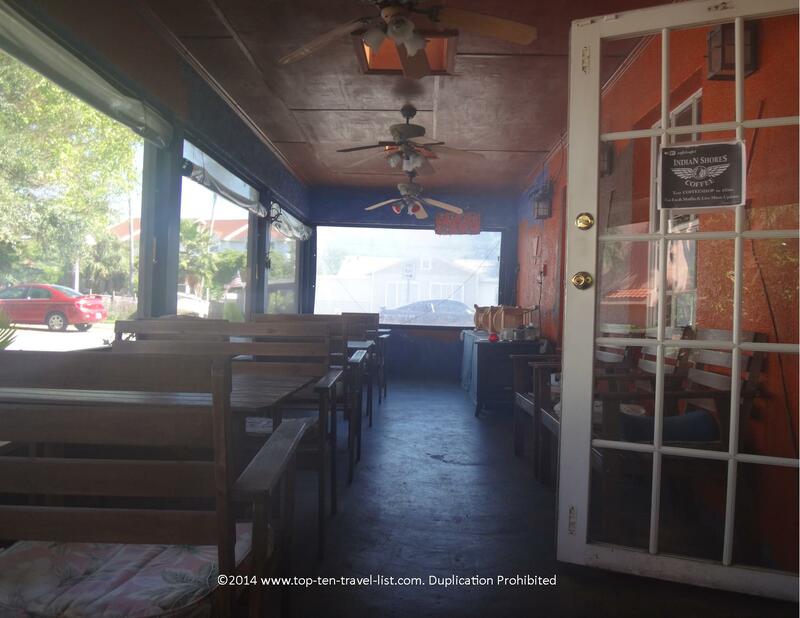 It’s the best Tampa Bay coffeehouse with the best location! As opposed to the boring chain shops that typically take up beach front property, Indian Shores is a nice alternative option where you can enjoy a laid-back, cozy vibe, which fits in with the relaxed, beachy vibe of Indian Shores perfectly. I’ve never had a better Americano in the Tampa area than at Indian Shores. They use organic coffee too, which is a big plus. The creative selection of mochas includes options such as a Banana, Dark Chocolate & Almond (it’s the must try here! ), Toffee Coffee, amongst many others. It’s so much fun trying out all these creative drink choices which would be no easy feat to make at home. While I am not personally a fan of cold brew (cold coffee – yuck! ), I’ve heard from others that it is fantastic. The smell of freshly roasted homemade pastries (it’s tempting to walk out without trying one) and friendly staff greet you as soon as you enter the doors – Indian Shores is a true neighborhood cafe. Also be sure to make room for open mic nights on Fridays from 7-10:30pm where you can kick back and relax with a drink (both beer & wine are available), enjoying the year-round warm nights. After enjoying a drink on the wonderful leafy outdoor patio (don’t be surprised if the resident cat starts meowing at you), you can take a stroll over to fabulous Indian Rocks Beach – one of the Tampa region’s most beautiful and least least congested beaches. The vibe here is not at all touristy or party like, meaning you can enjoy a laid-back afternoon of fun in the sun. It’s also a great place for swimming and collecting unique seashells. 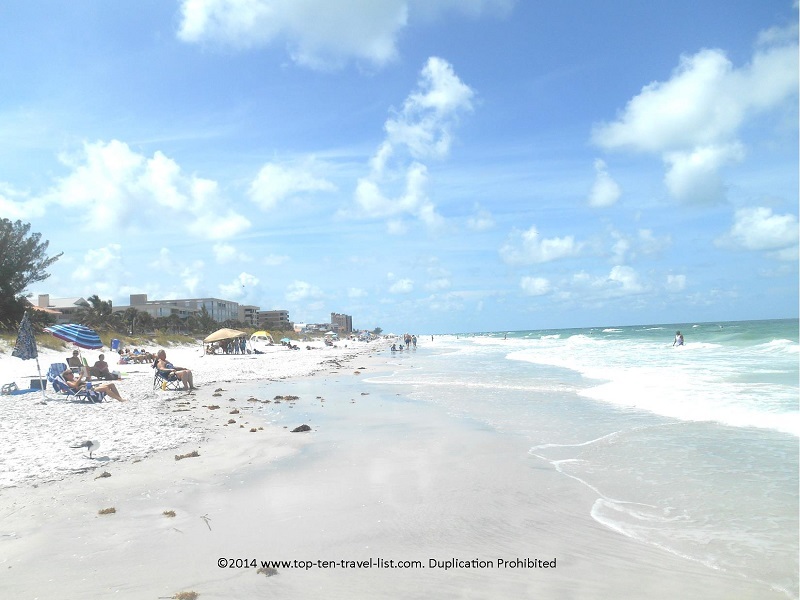 Gorgeous Indian Rocks Beach – the Florida Gulf coast beach you always imagined!